It's my first finished object for this year's Malabrigo March Knitalong. Or does it count as two? 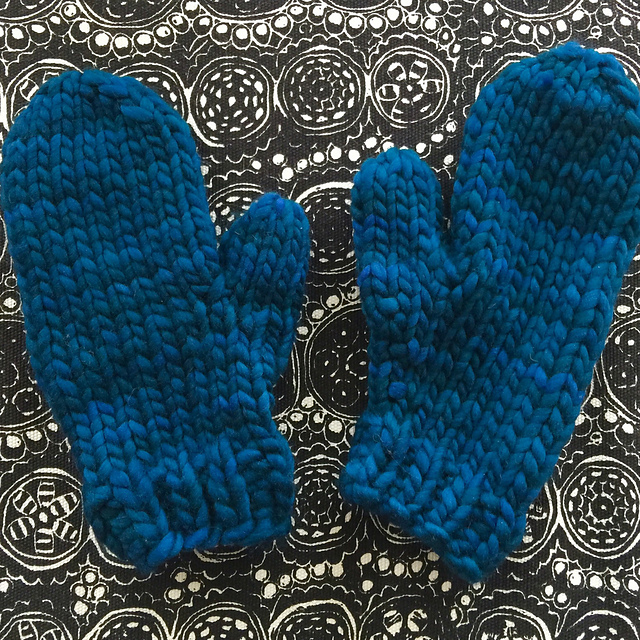 Tardis Blue mittens, knit from Malabrigo's Bulky weight Rasta yarn. This is a great last minute gift project, as they knit up in just a few hours at this weight. The yarn is so soft! This is the kind of project that makes you glad you're a knitter. ← Monkey Has A Head! Cute mittens, and, sadly, it’s still mitten weather.